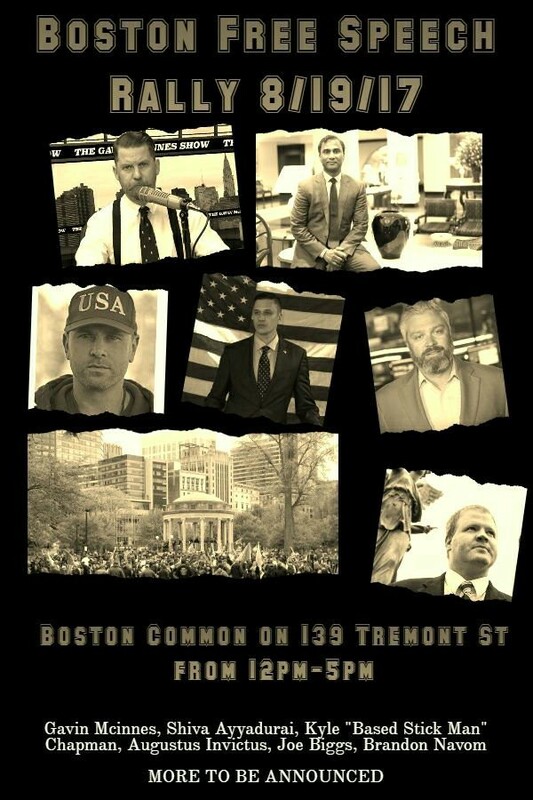 The Dalit American Coalition, The Alliance for Justice and Accountability (AJA), South Asia Solidarity Initiative (SASI), and Alliance of South Asians Taking Action (ASATA), strongly condemn right-wing provocateur Shiva Ayyadurai’s participation in the August 19th white supremacist Boston Free Speech Rally. We are a coalition of South Asian and Dalit American groups who are outraged by Ayyadurai’s complicit endorsement of Nazi hate speech and want to clearly reaffirm that he in no way speaks for the larger Dalit American, Indian American, South Asian American, or Asian American communities. At a time when fascism and racist violence is on the upswing, White nationalism directly threatens South Asian Americans, as evidenced by the murders of Muslim, Sikh, and other South Asian Americans, as well as attacks on religious and community spaces, in the wake of the election of Donald Trump. The US Settler colonial state was founded on the extortion of land from indigenous people and continued its legacy on the exploitation of black, brown, and indigenous people. The promises of democracy were only for the landed cis-white men who declared independence — but who did so on the backs of the many indigenous people who died trying to protect their lands and slaves who toiled under the merciless system of plantation slavery. For South Asian Americans, this violent history is deeply resonant because many of us immigrated to this country to seek reprieve from caste apartheid, Hindu Fundamentalism, and Islamophobia. Shiva Ayyadurai has also been vocal about his oppressed caste identity. While we do not doubt that his identity has exposed him to discrimination based on caste, we do not believe that gives him license to support bigots and Nazis. As people who are committed to the end of caste apartheid and who operate as a Dalit-centered group of anti-fascists both here, in the U.S and in our home countries, we understand that the survivors of caste oppression have a duty to stand against all forms of hate and extremism. We are deeply disappointed that Ayyadurai would use his history of caste discrimination as a club to attack other Americans. 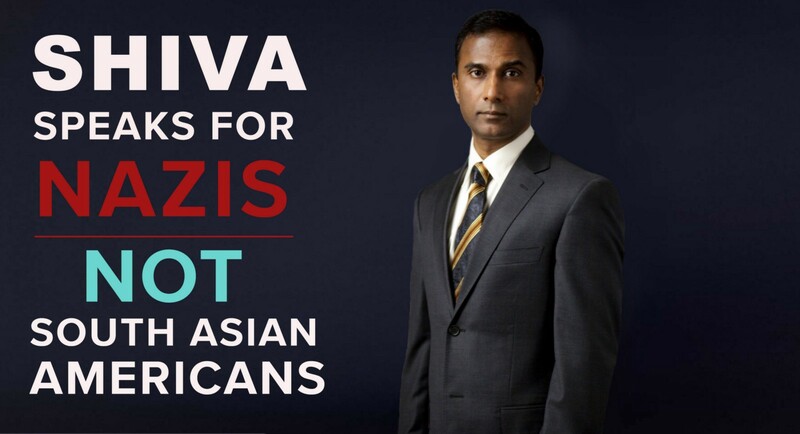 Ayyadurai is a fringe candidate who is operating out of self interest, self-hate, and is at best a misunderstood token, and at worst, a complicit supporter of Nazism. His presence and support of this rally is the ultimate evidence of his unfitness for public office. We affirm our solidarity with all those in Boston who will be facing Nazis and Klan members on August 19. And we stand unequivocally with our black, brown, indigenous, queer, white ally, trans, and gender non-conforming folks who will bravely be protesting and protecting our communities. We wish them strength and safety. We stand with them, with love and hope for all of our futures. As progressive South Asian Americans we also understand that the battle against fascism is not simply an American one but a transnational one. We stand equally invested in the fight against President Trump and the Republicans, as we do against the fight against India’s Prime Minister Modi, and the Hindu fascist ruling party, the BJP. Together, our communities will resist not only this Saturday, but onward in the global battle to end white supremacy, caste apartheid, and fascism.